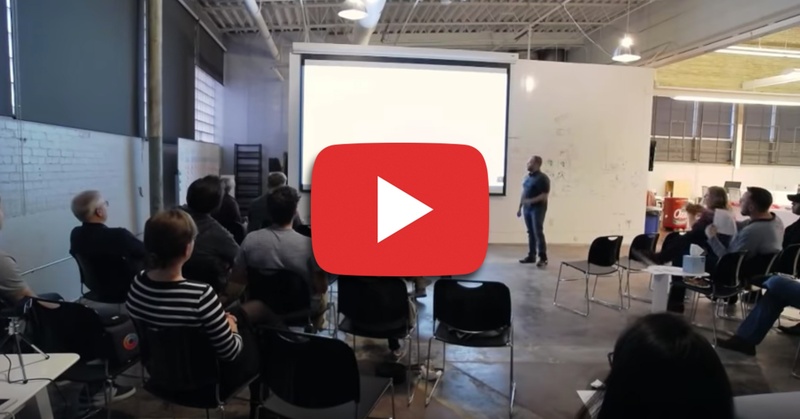 October 18, 2018 - At this month’s Data+Creativity Meetup we enjoyed a fascinating look into the role psychology has in developing successful human-computer interactions. “To understand users’ goals, you have to understand the user, and understand that they are a human, and that we as humans have limitations. That our minds are designed in a certain way and work in a certain way,” speaker Michael Arrisontz said. The discussion included how typical human cognition works, with high-level overviews of memory, mental workloads, and gulfs. The gulfs were particularly interesting because they showed the mental evaluative process for assigning blame when something doesn’t happen as expected, with users trying to figure out if the software is the problem or if the user is the problem. To watch the full recording of the meetup, click here. Michael currently serves as a Product Manager of the Quality and Valuation Products for CoreLogic | Mercury Network. He’s pursuing his Master of Science in Human Computer Interaction through Iowa State University.